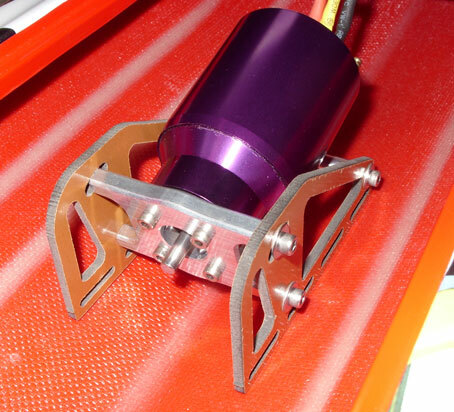 Inboard Motor Mount for electric motors up to 55mm in diameter with 18mm mounting hole spacing. Mount is adjustable for Cats, "V's", and hydros. Phenolic side panels allow for installation with epoxy and fiberglass tape. Motor mounts to aluminum plate with 4 bolts. 5/8" diameter hole in aluminum mount allows for 1/2" diameter collet. Supplied with all necessary bolts and fiberglass tape. Motor and drive collet not included.